It may seem crazy to think that in the age of space travel anyone would want to attempt an ocean crossing by reed boat. But that’s precisely what Phil Buck, a 51-year old American adventurer, is planning. In February 2017, aboard a fleet of 25 oversized traditional Lake Titicaca reed boats built by Bolivian Aymara Indians, Buck and his team of intrepid explorers will set off from northern Chile bound for Sydney, Australia. The journey of more than 10,000 nautical miles, which has never been completed in its entirety before, is expected to take six months. This is not the first time Buck will attempt such an ambitious crossing. In 2000, he made it as far as Easter Island and, in 2003, he tried to sail to Australia before bad weather and boat damage forced him to give up his quest. But Buck isn’t one to give up easily. His aim is simple: to prove that rudimentary sailing vessels, like the Lake Titicaca reed boats, could be used to cross oceans and that, just maybe, they may have contributed to human migration on our planet. Buck is certainly not the first to try to prove that South American natives may have populated faraway lands. In 1947, on an expedition which Buck rates as his ‘childhood inspiration’, Norwegian explorer Thor Heyerdahl led the Kon-Tiki from South America to Tahiti. Heyerdahl was steadfast in his belief that Polynesians had their ancestral roots in South America, yet his theories were debunked for decades by anthropologists, until being eventually dismissed in the late 1990s. Mitochondrial DNA testing proving, once and for all, that Polynesians are Asian in origin, not South Americans. 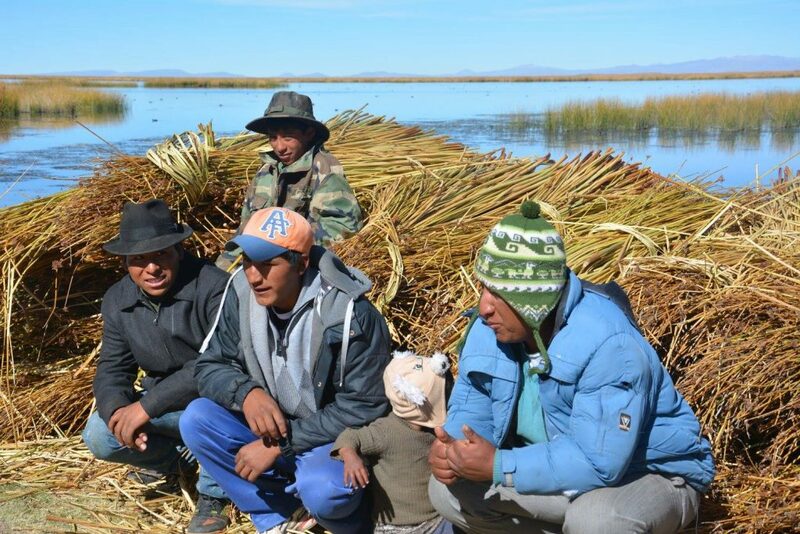 Yet for Buck, this expedition will be more about overcoming the challenge and proving the theory in general (that Lake Titicaca reed boats can withstand such crossings) rather than making any kind of anthropological breakthrough. The project is certainly an impressive one, as are the boats themselves. 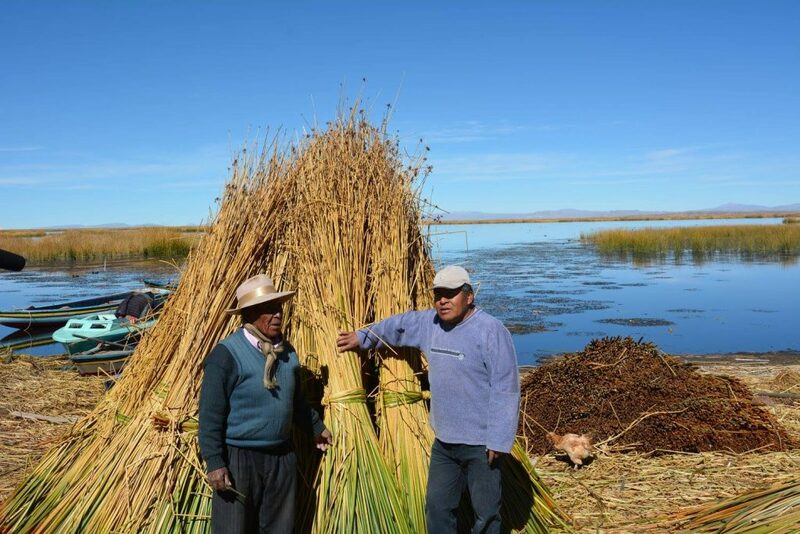 Buck has been an avid admirer of Bolivian culture for years and considers reed boat building an ancient art form. Modern technology has lost a great deal of skill, he believes, and he is one of many who wishes for these skills to be nurtured and passed on. 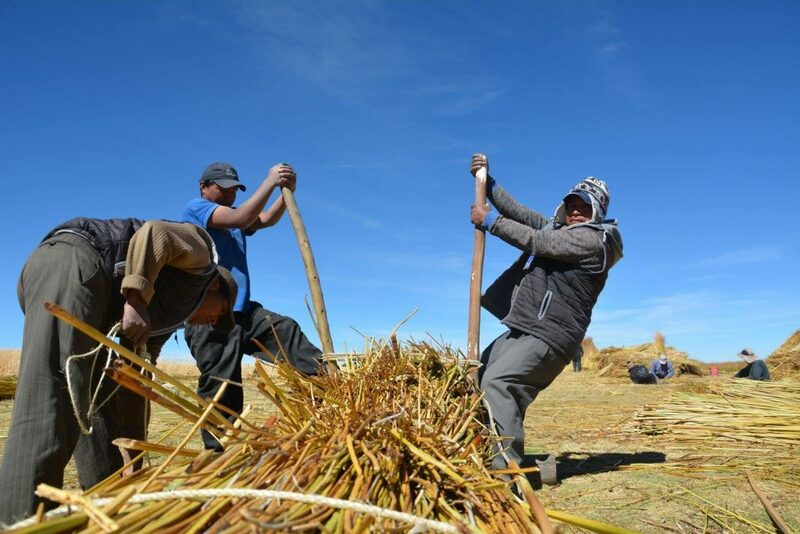 His 18 meter boats, which are currently been built in La Paz at an altitude of 3,600 metres, are based on designs which the Aymara people have been using on Lake Titicaca for over a millennia. Buck does share Heyerdahl’s opinion that these particular reed boats are ‘simple yet ingenious’ and follow a design not seen anywhere else on earth at the time. Quite an astonishing achievement for an ancient culture not particularly renowned for its seafaring exploits. If it appears that Buck is just a sentimental soul, take heart: this will still be a 21st-century expedition. Although Buck and his team will use bamboo containers to store water, navigate by the stars and live off fish and Andean-grown quinoa to survive, the rest of the world will be kept constantly updated on social media. Modern-day maritime laws also stipulate that Buck must carry GPS navigational systems. For either need or desire, modernity will very much meet antiquity on this history-making expedition. The master boat builder in charge of the construction of Buck’s boats is 71-year-old Juan Limachi, who was part of the team who built Heyerdahl’s Ra boat for his 1970 expedition across the Atlantic. His dream is to retire knowing he helped yet another adventurer reach yet another part of the world, aboard traditional balsa boats. 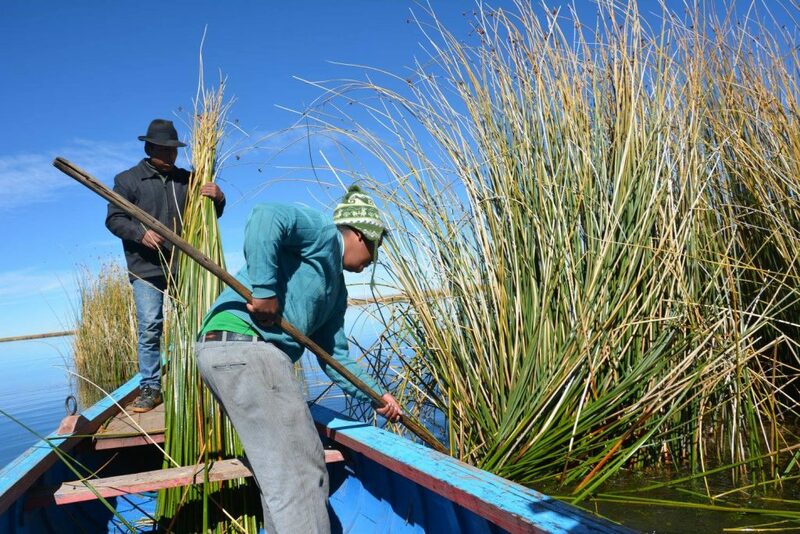 Lake Titicaca’s reed boats are one of Bolivia’s most impressive attractions. On my last visit there in 2006, around the town of Copacabana, I was lucky enough to meet one of Heyerdahl’s’ ship builders, who worked alongside Limachi. The small grizzled man with the weathered face was still running a papyrus boat yard. Outside was a large replica of the “Ra” vessel, his pride and joy. He immediately showed me his photo-album from his brief brush with fame: a fading snapshot with Thor, pictures of his invitation to Europe, and the Ra in its construction-phase. His eyes lit up as he relived his memories which were then almost half a century old. 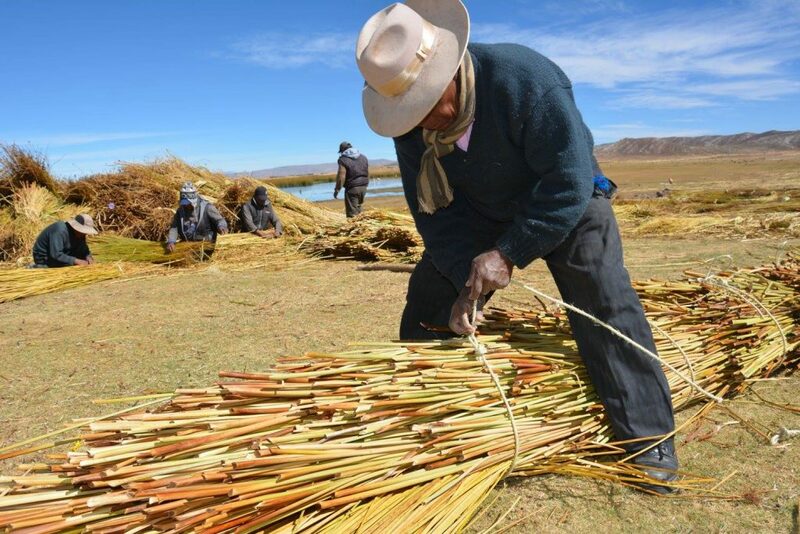 He made his living selling model Lake Titicaca reed boats for tourists. I bought one for a few dollars, perhaps in an attempt to feel part of his story, and this incredible history. “I will sign it for you! I know you want my signature!” he offered in his broken English. At the time I remember thinking it must be a little sad to live completely in memories of the past, a time when days were filled with excitement and a sense of purpose. Yet I was soon reminded of how his eyes once sparkled brightly like a bonfire, instead of flickering unsteadily like a short-wicked candle. 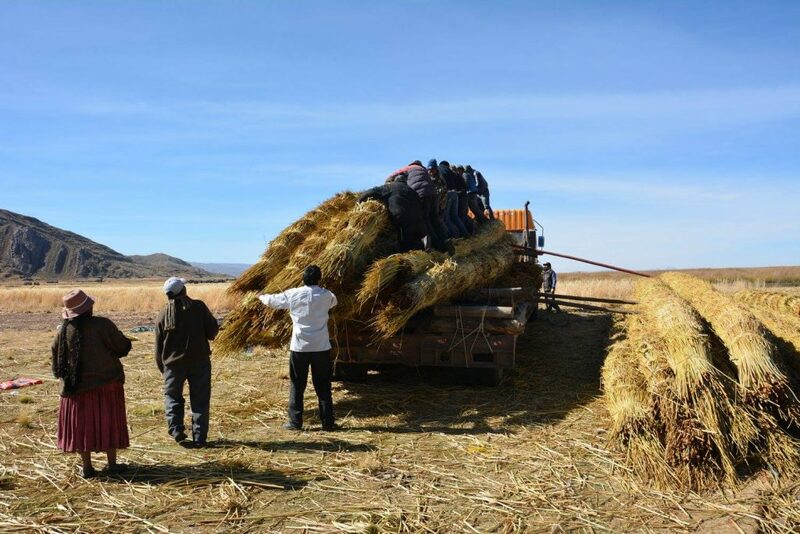 Stay tuned as we bring you updates on Phil Buck’s expedition and, in the meantime, learn all about the Top Attractions on Lake Titicaca and discover why Bolivia should be at the top of your must-see list. Chimu Adventures offers tours to Bolivia and the rest of South America. 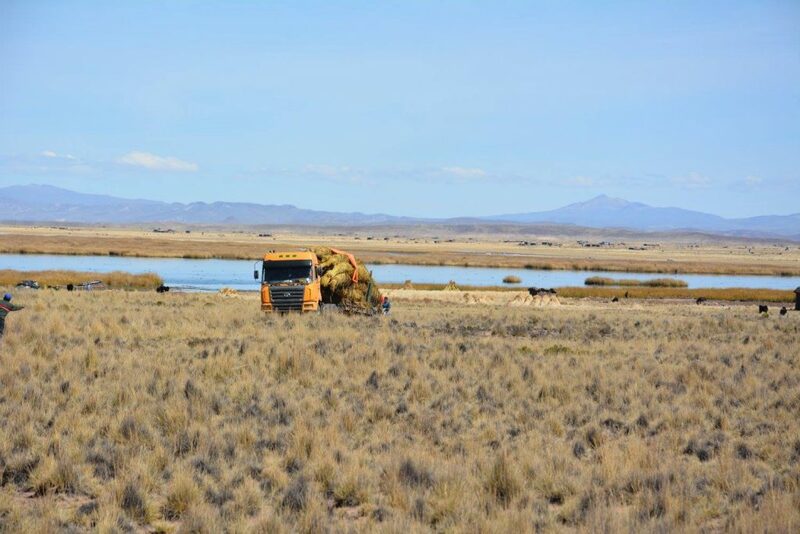 Click here for more information about Chimu.